What Documents Do You Need In An Emergency? - Begin Prepping Now!! If there was an emergency, would you be able to grab your important papers in five minutes or less? Do you know where your papers are? Do you know what emergency preparedness papers are? This is a basic list of papers that you should have all together. 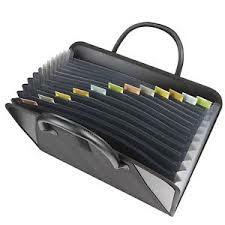 I recommend buying an accordion folder to hold all your originals. You can also use a 3-ring binder with a bunch of clear covers to protect and organize your docs. This is not hard, but it will take time. I recommend that you get all your docs in one pile. Then you need to scan each one one. Save each document, label it for easy retrieval, and save it into a folder created just for these documents on your desktop. Then store the original in your accordion folder. Do this with each document. 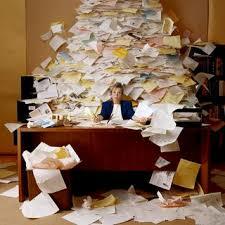 After all the documents, have been scanned and filed, set it aside. Make sure you have the same number of documents in your real file and your virtual one. Buy a thumb drive, or a couple, and put a copy of your virtual file on each thumbdrive. Then mark each one, and decide where to distribute them to. I recommend giving one to Grandma two states away and putting one in the folder with the originals and one in a friends gun safe, at a minimum. After you have made all the thumbs you want, erase the original folder off your laptop. You do not want copies of this sensitive info on any machine that is hooked to the internet. These thumbs are for emergency use only. Only trust them to people you trust with your children’s future with. Here is a list of documents that I recommend having in your file. thumbdrive, flashdrive or jumpdrive…different names same product! You will need these papers for each person in your home, and any dependents, such as college kids or elderly people you would be caring for in an emergency situation. There are other documents that you might find necessary. These might include adoption papers, divorce decrees, custody agreements, parole papers, death certificates, power of attorney papers, conceal and carry permits and gun ownership papers. If you own a small business, you should have incorporation documents, insurance papers and taxes for it as well. You will need to tailor this list to fit your current situation. I recommend that you have these papers, or certified copies, for each person who might be with you. If you live near family, encourage them to do this also. It is very easy to put a copy of their desktop file onto your thumbdrive. As long as you trust them to protect your information, it is good to have backups in different locations. I know this seems daunting, but with all the chaos in the world around us, it is very wise to be able to beat a hasty retreat, secure in the fact that you can prove your kids and pets are yours, your divorce is final, your taxes were paid. You are secure if the IRS gets hacked and returns are ruined. You are ok if your kids’ school loses their vaccination record. I have this, and it has saved me so much hassle over the years. It is very nice to be able to go to one place and know the papers are right there. It is also nice for my family to be able to find these documents, if I am unavailable. Having emergency preparedness documents will save you so time and energy later, I hope you do this for your own peace of mind. I’m glad you found it useful. I think it’s something everyone can do to prepare for any type of emergency. I hope you come back to learn tips often. I would love to see you on facebook as well. A timely reminder to me.To be frank, I don’t even know where I placed my birth cert after I moved house. And I don’t remember having a single softcopy. My high school and college certs, I didn’t even know if I’ve lost it. I guess it’s just one of my bad habit I need to get rid of. Almost everyone I know is missing at least one thing on the list. The trick is to round up the docs now and order certified copies of anything that’s missing. That’s what being prepared is all about. Good luck!! This is an excellent and informative article, and I believe every person should be taught how to do this as they are growing up and making their way through school. I personally have a small portable filing cabinet with a lock on it that NEVER leaves my bedroom, which holds ALL of my important papers. Should I ever need them in an emergency, I know exactly where to go and which folder to pull them out of. One thing I have not done is make extra copies for a different location or scanned them onto my computer which I think is a fantastic idea as well. Thanks for the wonderful and insightful information! Thanks for the comment. I’m glad you are already so far along. It is good to be organized. I’m glad you found some tips that would help you take the next step. This is great information everyone should know regarding important documents. I keep all my important papers in my briefcase so if a fire or natural emergency happens I can easily grab it. I like the idea of keeping copies with another family member so I think I’ll start doing that as well. Thanks for the terrific information! I am glad to hear that you have prepared so well. I am also glad that you found something to help you. It is important to keep learning …always be prepared and safe! I never thought about this before and I am sure that before I read this writing, I will never consider gathering papers in one place. I will travel soon and this issue becomes even more important for me because I will stay at least a couple of months there. Do you have any other tips for someone who travels quite often? I would say that getting papers is the first priority. Make sure you have a current will, a living will and a copy of your passport. But you should also have list of all your banks, credit cards and insurance phone numbers and addresses, all the numbers you would need to replace everything in your wallet. I would also give a list of the numbers where I am going to a trusted friend. If you fell of the planet, would someone have your office’s number, or your landlord’s? Would the people who care about you have a way to find you? Back up your cell phone NOW…and print your contact list out! Make sure you have your phone provider’s number on paper somewhere. Most people’s whole life is in their phones. If your phone got run over by a cab…could you call your boss…or your mom? There are lots more things, but these will get you started. What I do is play “what if…”in my mind. Then I try to plan for that. What if…my motels computer loses my reservation? So I always keep a paper copy of reservations in my bag to prove I made a reservation. It has helped me on two occasions. What if my bags get delayed? So I always keep a set of clean underwear in my carry-on…a a nice shirt rolled up, so I can get by an extra day. The what ifs are different for everyone…but it is a simple way to get yourself into a more prepared way of living.